In the archive sac201.zip you get the layout as tiff´s. (Zip Archive- 92Kb) - The large ones are for information, one of these is not corrected. Printing with PaintShop Pro gives me the correct size; but may be to correct a little bit in special case. The CU-areas into the ISA slots must be soldered to get good contact over the time with now erosion (not CU in AU-contacts). here you'll find the PCB of the SAC201 hilosystems board drawn by MITSUKO. 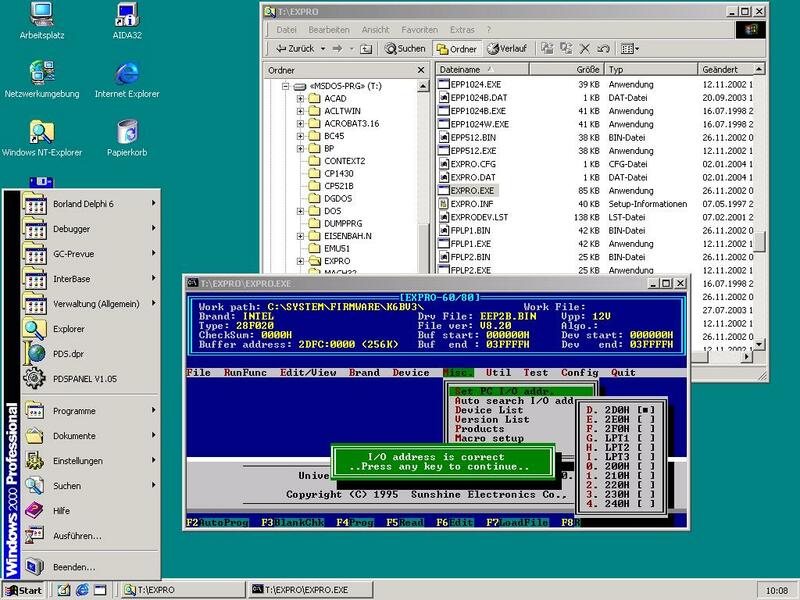 pic16.exe - commandline PIC programmer for the **parallel port** NOT ALL03!! based on the good work done in proma3.zip, Christian (Germany) has done a Variation of the included eep3.c. The Dos application can be used to program the old Tesla mh74s571 Bipolar Prom. MAKEFILE - new Makefile for "Proma3 Project"
If you want to compile it yourself, you will have to unzip it into the "Proma3 directory". A new Makefile is included. The Dos executable is called tbprom.exe. 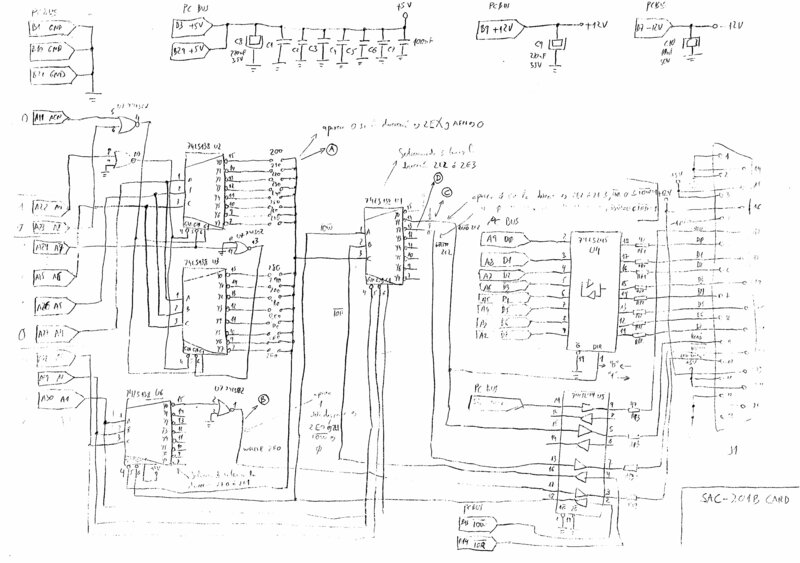 Here is the schematic of the SAC-201B adapter card courtesy of Gonzalo Fernandez Val from SPAIN. Herafter the work of Jae-Gu Kang from South Korea. Anyway, I have an ALL03 in my warehouse with dust, but my ALL03 is re-borned with USB interface. 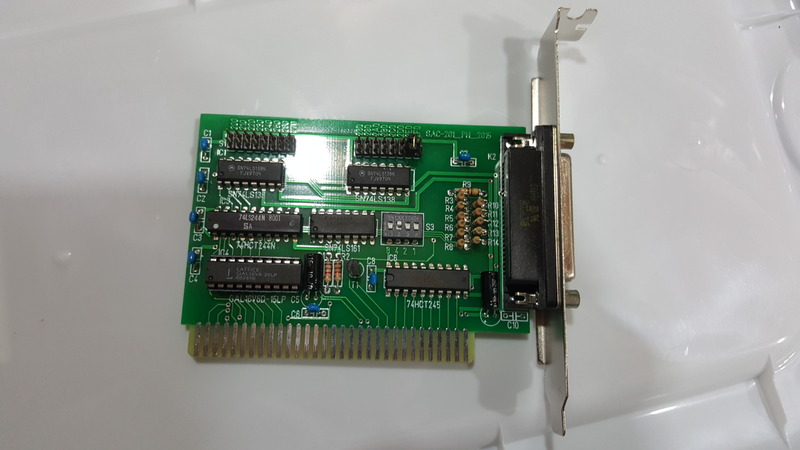 Jae-Gu has developed a USB adapter card based TI's TUSB3210 USB client controller for the ALL03 universal programmger, and it's tested with 32KB SRAM write/read through USB connexion. 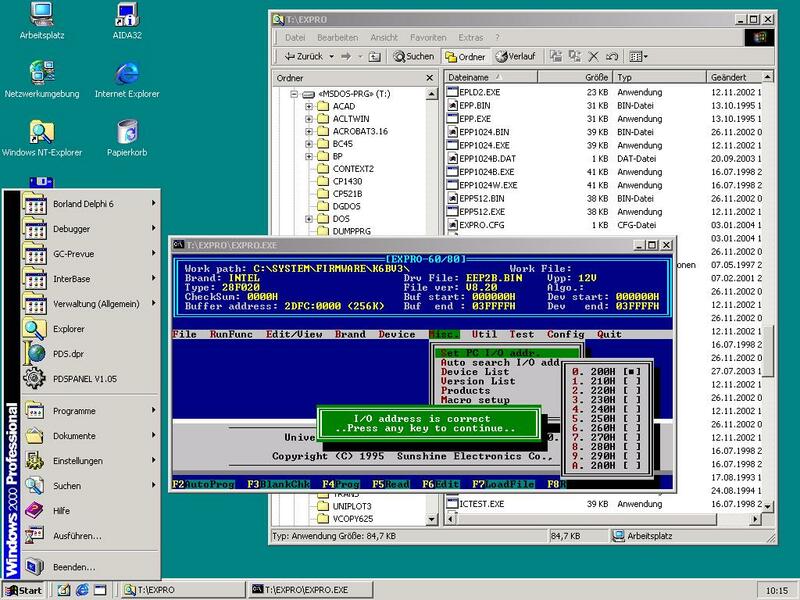 Jae-Gu has published schematics, device driver and test application source for Windows XP OS on his blog. 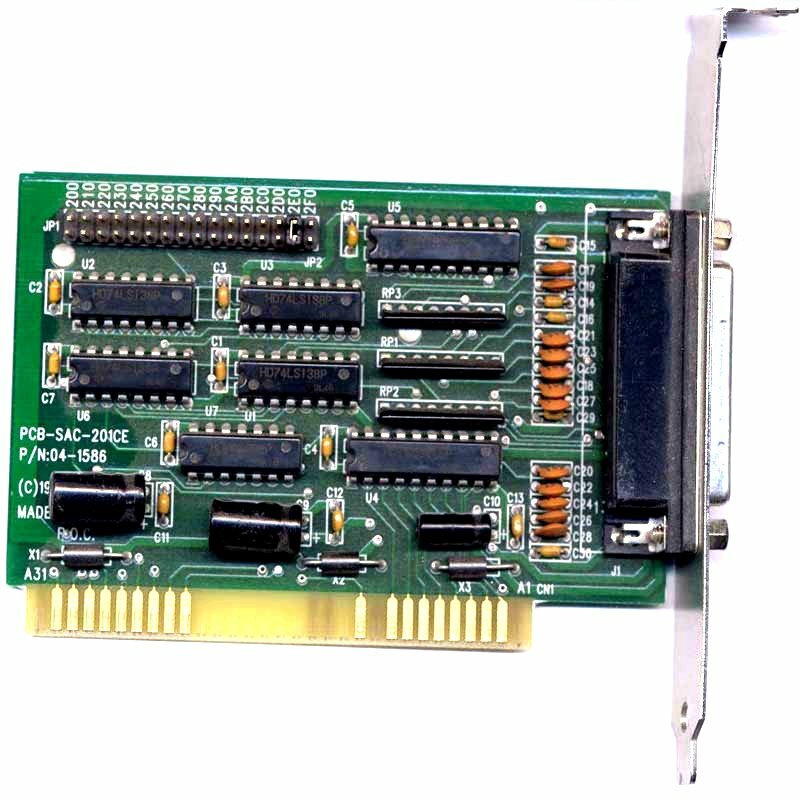 But this ALL03 USB adapter card is under-development, so the program has no device programming capability and it might has software bugs. Jae-Gu will update my project continuously if I can get some time. You could get the TUSB3210 USB client controller from Texas Instrument as free sample, also you can buy from there. The TUSB3210 is USB1.1 device, so I recommend the TUSB6250 controller that also have same concept but it has faster 8051 core and support USB2.0. If you can get a second hand Hilo Systems All03 device Programmer and tester you will be able to program with no problem the AT89CX051. You can use with it the free software compiled with DJGPP available on this page. Here is the last Update (20030702 , 670Kb) of the software written by Fabio Sturman (Italy). This Software includes software for programming ATMEL AT89C1051, AT89C2051 and AT89C4051 ; MICROCHIP PIC16F83, PIC16F84 , PIC16C84 ; ATMEL AT90S8515, AT90S/LS2323, AT90S/LS2343, AT89S52, AT89C51, AT89C52 , 27C512A, 27256 with the ALL03 / ALL03A programmer. This software is compiled with DJGPP ( cf. http://www.delorie.com/djgpp/ ) To compile it you need the following files (packages) : bnu, bsh, cpio, diff, djdev, ed, fil, find, flx, gcc, glib, gpp, grep, gtxt, mak, sed, tar, txt (look in the directory "x:\djgpp\manifest") . In the directory "c:\djgpp" create this batch file and name it "djgpp.bat" . Select the appropriate disk drive, select one of the shells uncommenting one line at the end. 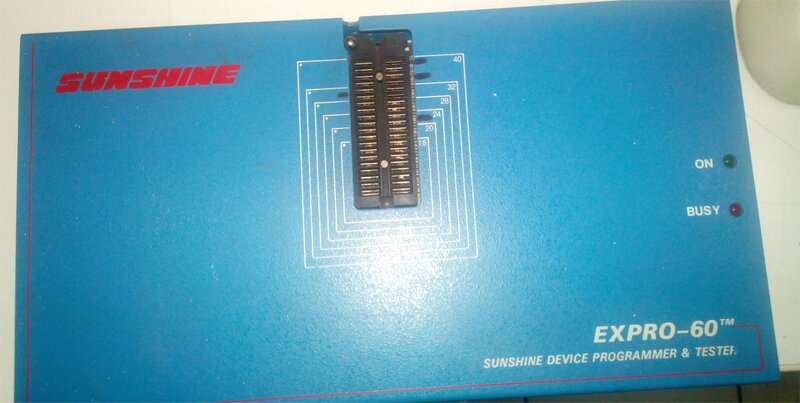 Expand the all03-x.zip into "c:\djgpp"
this is expro60 programmer board(Motherboards) of the CHIPS (PALCE16V8H U5). 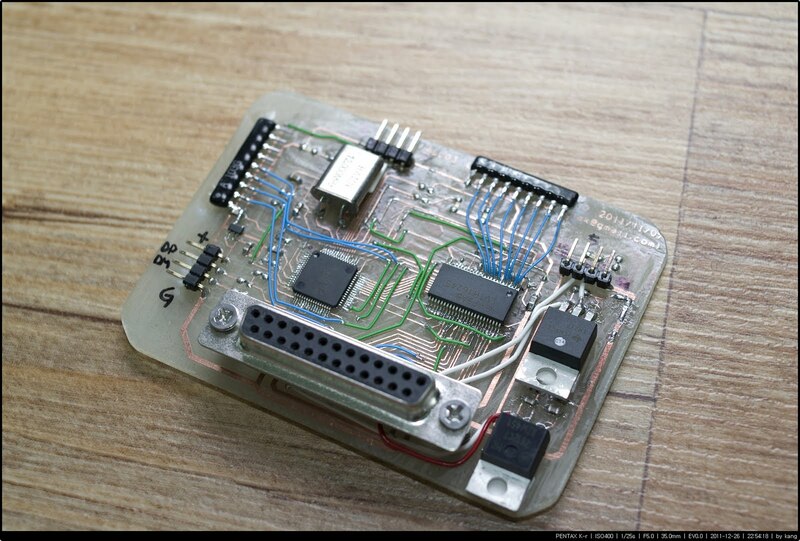 this is expro60 programmer board(Motherboards) of the CHIPS (PALCE16V8H U33). 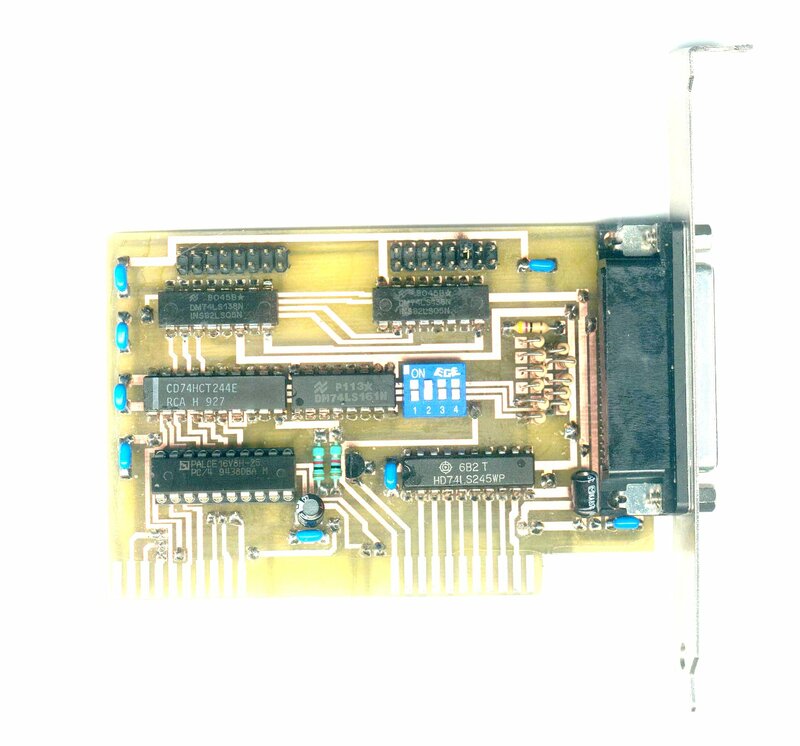 this is expro60 programmer board(Motherboards) of the CHIPS (PALCE16V8H U35). 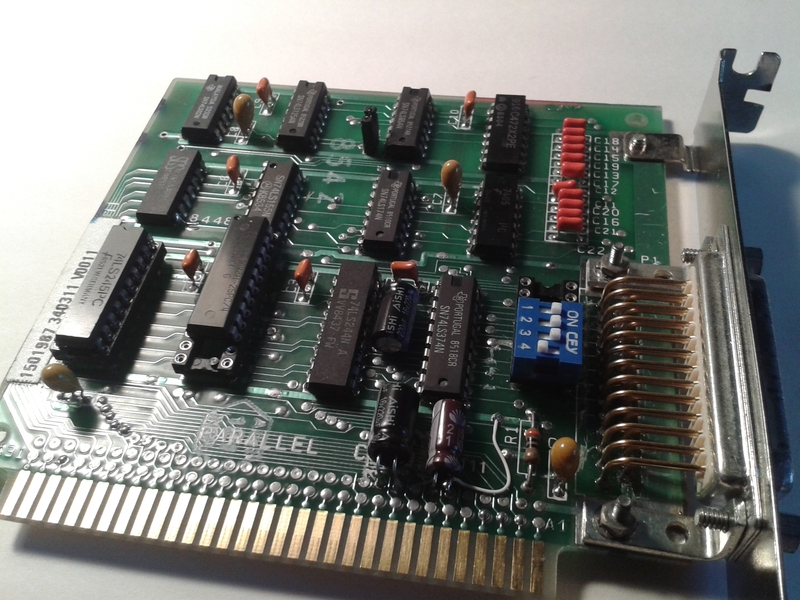 here you will find the same information but for the expro80 including diagrams of the EXPRO80 and diagram and information to build a LPT1 parallel Port interface for the programmer. LINK-P1 parallel adapter for the EXPRO60-80 (ALL03 also ?) to use with the release of the Expro60-80 dated 22 August 1996. 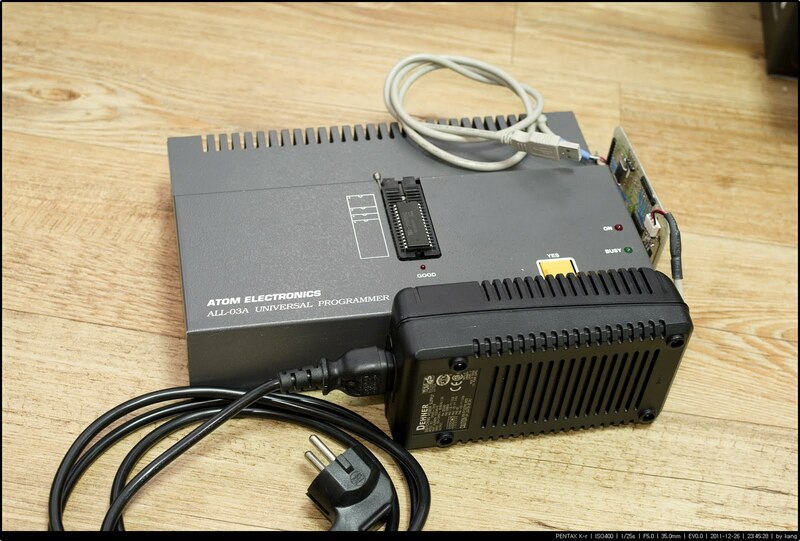 Use a standalone power power supply 220V -> +5,+12,-12. to power the programmer. Sunshine Driver update disk1, disk2 . 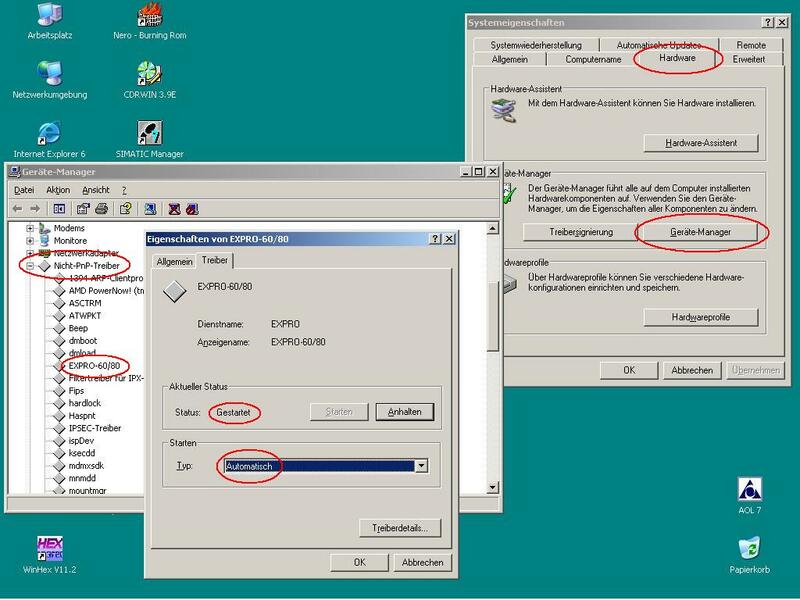 AUTOMATIC and starts the driver, so there is no need to restart the PC. A "file" (it's the symbolic link to the driver) \\.\EXPRO must be opened in the program, which wants to do I/O on the ports. Therefore only the patched programs in the attachment will work. That's because the I/O permission map at the end of the TSS-descriptor is modified by opening the driver. It's exactly the same way GIVEIO.SYS does, but not for the 64K I/O hole , because the keyboard, mouse etc. must be handled by NT/2K/XP like before. With that "trick" the access to the port it as fast as under DOS because IOPL does not matter, there is NO interception. The ports 2E0 and 2F0 are not supported by the driver because they may cause a dangerous conflict with an existing COM3/4. The control to the Kernel is fully bypassed! AUTOMATIC and starts the driver, so there is no need to restart the PC, but please if it doesn't work first, reboot your computer then test it again. Every task (in NT/2K/XP it's called PROCESS) have it's own TASK STATE SEGMENT descriptor. The TSS register holds the descriptor. You can see the structure of a TASK STATE SEGMENT descriptor in the pictures here. Within the TSS structure is an offset-field which points to a bitmap. This bitmap is the I/O permission map. A "0" (bit, not byte !) allows the process to access the port. For each address there is a bit, so 64kbits for the full I/O address room is needed (8192 * 8 = 65536 = 64k). That's the reason why 2000h bytes of non cacheble memory is allocated by the driver. The bits of the addresses used for port I/O by EXPRO60/80 or ALL03 are cleared, all the other ones are set to "1". The application only must open the "file". The kernel calls the "open" function of the driver. It's executed within the context of the application process, but which CPL (current privileg level) of 0 (it's the highest). So the driver is able to "adjust" the I/O permission map of the task (e.g. process) to it's needs. Till now the application can do direct I/O calls to the port. That's all; but it's sounds easier than it really is: To reference a new I/O permission map you must call two undocumented operating system calls. To assemble the driver you must use the MASM32. It's free of charge and can be downloaded for the intel web site. The install program for the driver is compiled via Borland Delphi 3. Borland Pascal 7 allows "CONST" parameters, the resulting code is the same as using "VAR", but the compiler rejects all write references to the parameter because it's declared as read only (constant). Some basic concepts need to be explained. 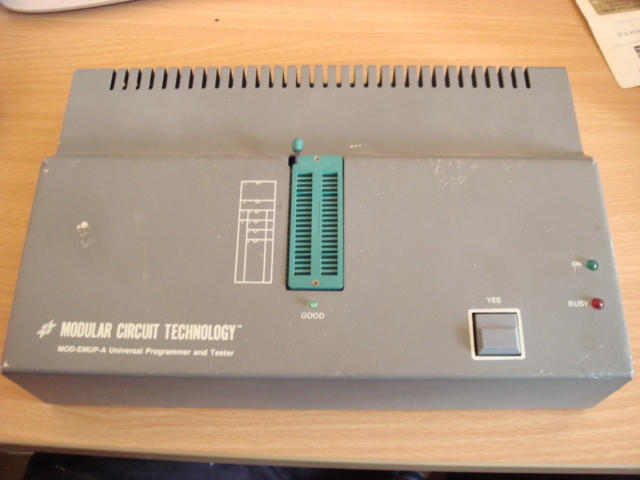 The main control unit is on the adapter card (SAC-201). There are two 8-bit I/O registers on the SAC-201 that are able to control all I/O devices on the ALL-03 main module. The base address is the I/O address of the SAC-201 as defined by DIP switches 1 and 2. These switches allow a choice of 16 possible base addresses from 200h to 2f0h (default is 2e0). Every device on the ALL-03 main module can be controlled by writing its ID byte to the IDPORT and then reading from or writing to the DATAPORT (the ID bytes of the various devices will be shown below). 1. 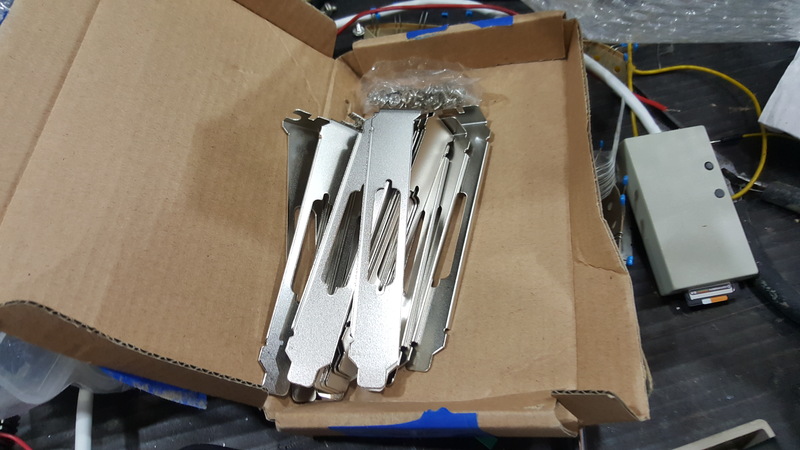 VOPENID: 1, 5, 7, 9 to 32. 2. VHHENID: 9 to 32. 3. VCCENID: 40, 36, 34, 32, to 26, 9, 7, 5, 1. 4. VHHENCID: 32 to 28. 5. TTLID: all 40 pins can be defined as inputs or outputs. Note: Devices that cannot use the previous pin definitions will require a special purpose external adapter. Example: We wish to write the value 7fh to #1 D/A device (ID = e5h). Example: Writing 255 to device e5h will set the #1 D/A to 25.5 volt, writing 102 to e5h will set the D/A to 10.2 volt. Example: Writing 255 to device e6h will set the #2 D/A to 15.3 volt, writing 85 to e6h will set the D/A to 5.1 volt. Example: Writing 255 to device e7h will set the #2 D/A to 10.2 volt, writing 0 to e7h will set the D/A to 0 volt. The levels of each power source can be set by the above three D/A devices. However, additional devices are required to apply these voltages to the specified test-socket pins. Total 40 bits assigned to 40 pins on test-socket. LSB of e0h is assigned to pin 1, and MSB of e4h is assigned to pin 40. Each pin can be a TTL level input or output. Before inputting from the desired pin, the user must output a high to that pin. Example: After writing an ID byte (TTLID+i) to the IDPORT, one can then output 8 bits to the DATAPORT or input 8 bits from the DATAPORT. Total 40 bits assigned to 40 pins on test-socket. LSB of e8h is assigned to pin 1, and MSB of ech is assigned to pin 40. Writing a high to a particular bit will apply the VOP source to the relevant test-socket pin. Writing a low will disable the VOP source output to that pin. Example: After writing ID byte VOPENID+1 to the IDPORT, and then outputting 8 bit data to the DATAPORT, VOP will be applied to the relevant test-socket pins 9 through 16 via a 22 ohm current limiting resistor. Note: 1. Test-socket pins 2,3,4,6,8 and pins 33 to 40 have no VOP control circuit, so VOP cannot be output to these pins even though the relevant bit may have been set to high. 2. VOP must not be applied to any pin for more than one hour. LSB of f0h is assigned to pin 1, and MSB of f4h is assigned to pin 40. Writing a high to a particular bit will apply the VHH source to the relevant test-socket pin. Writing a low will disable the VHH source output to that pin. Example: After writing ID byte VHHENID+1 to the IDPORT, and then outputting 8 bit data to the DATAPORT, VHH will be applied to the relevant test-socket pins 9 through 16 via a 22 ohm current limiting resistor. even though the relevant bit may have been set to high. 2. VHH must not be applied to any pin for more than one hour. 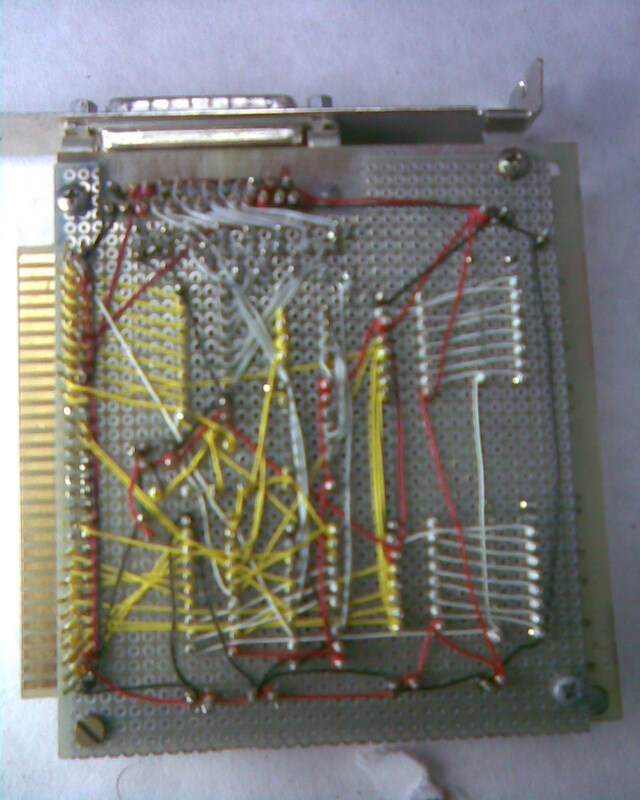 Total 16 bits assigned to 16 pins on test-socket. Writing a high to a particular bit will apply the VCC source to the relevant test-socket pin. Writing a low will disable the VCC source output to that pin. 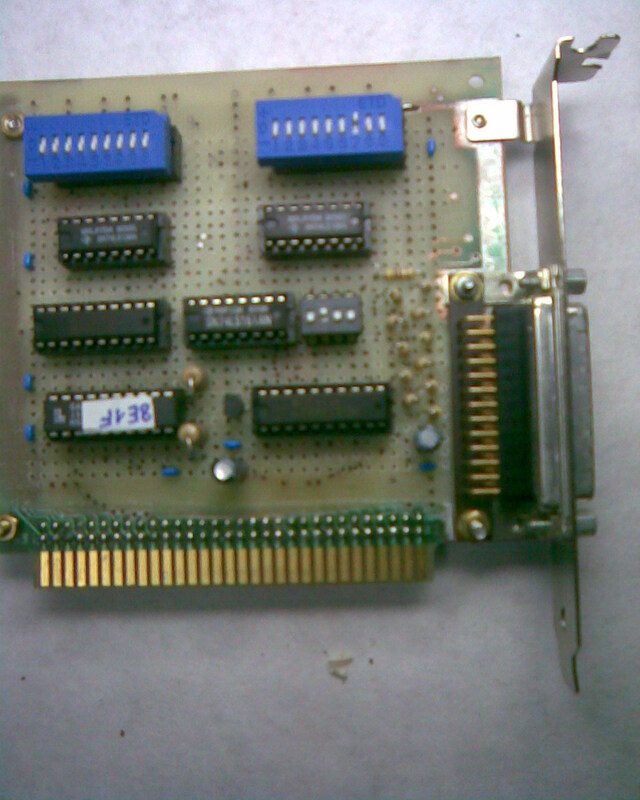 Example: After writing ID byte VCCENID+0 to the IDPORT, and then outputting 8 bit data to the DATAPORT, VCC will be directly applied to the relevant test-socket pins 28 through 40. The difference between these extra pins and the previously listed VHH pins is that these extra pins have no 22 ohm current limiting resistor in series with the VHH source. This is to permit some PAL VCC pins to be driven at high voltage (over 12 volts) and high current. Example: After writing ID byte VCCENCID+0 to the IDPORT, and then outputting 8 bit data to the DATAPORT, VHH will be directly applied to the relevant test-socket pins 28 through 32. Some additional pins not previously specified will be listed here. bl : hi will output VOP (source - 2.4) volt to pin 7.
b2 : hi will output VOP (source - 2.4) volt to pin 25.
b3 : high will output oscillator TTL level to pins 2 and 3. Each pin is the inverse of the other. b4 : high will output oscillator TTL level to pins 18 and 19. Note: 1. All devices are reset to a low output at PC power on. 2. Voltage drops exist between the power sources and the test socket pins. These voltage drop factors need to be included in the D/A power source level settings. 3. Before inputting TTL levels, or outputting VOP, VHH, VCC voltages, the user must output a high to the specified pin. Otherwise, the relevant TTL input, or the specified supply voltage will be pulled down to ground. This will result in damage to the affected supply. 4. In the version 1.0 of the Expro 40 we supply the source listing for TESTPRO.EXE. TESTPRO source is a good sample file for the user who wishes to develop his own software to program new devices. Source.gif scaled down to 800x600 pixels. If you have any comments or resources do not hesitate to contact me by email at matthieu.benoit@free.fr . Also If you have needs to get a SAC-201 Assembled and Fully tested board , Do not hesitate to contact me.